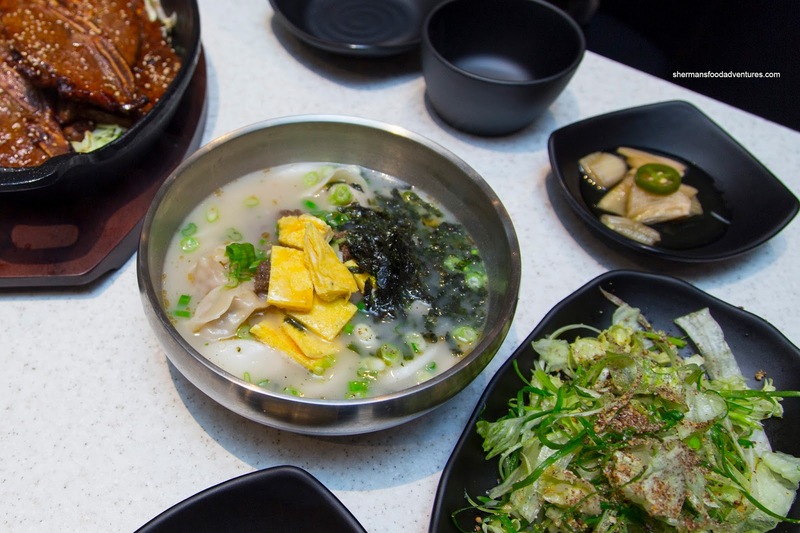 In the opinion of many, the next big food trend in Vancouver is Korean cuisine. 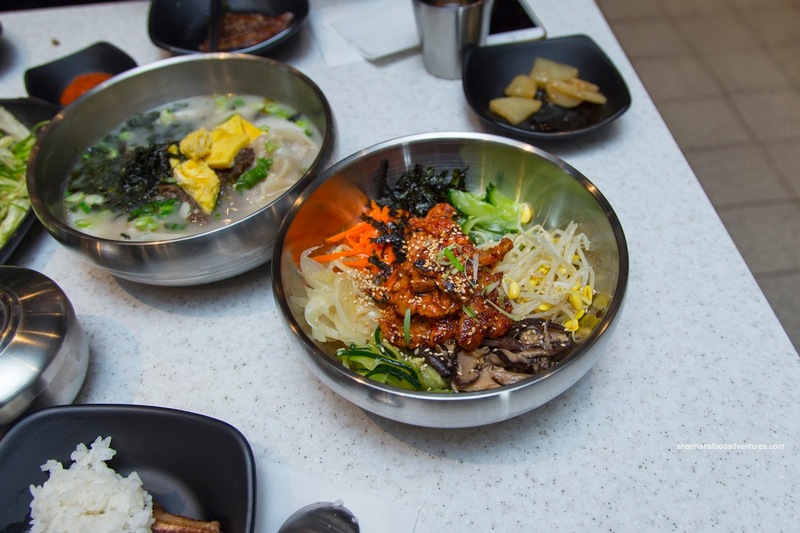 Now, it doesn't mean there will be a run of new traditional Korean restaurants opening up all over the Lower Mainland. Rather, we are seeing more Korean influences on local cuisine as well as an increase in modern Korean eateries. 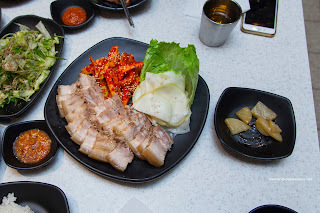 My recent visit to Maru Korean Bistro is a perfect example of this where there are creative twists on traditional favourites served up in a modern and clean dining room. Another new spot to hit the town is Yook BBQ on Nanaimo at Broadway. I was recently invited to try the place out along with Amy, Grace and Maggi. They have put quite the effort to transform the dingy dining space of the former Vietnamese restaurant to create a modern and inviting room. 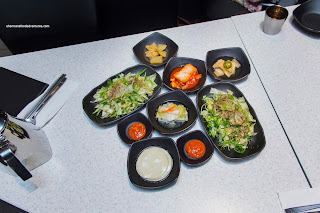 We were started off with some Banchan in the form of kimchi, pickled daikon, stewed potatoes, Napa cabbage and salad. Everything was pretty much as expected except for the kimchi as it was more sour than spicy. The first item to arrive was the Seafood Tofu Soup with a bevy of well-prepared octopus and shrimp, silky tofu and a raw egg. Texturally, the soup was on point with the aforementioned ingredients. In terms of taste, there was an impactful spiciness from the pepeprs as well as the brininess from the seafood. I would've liked to see more developed flavours from the soup base though. The best dish of the meal was the BBQ Kalbi which was served in a slightly larger portion to accommodate all of us. These were large and nicely caramelized with a certain smokiness accented by a rich sweetness and spice. I found most of the pieces to be buttery and melt-in-my-mouth tender, yet there were a few chewier pieces. 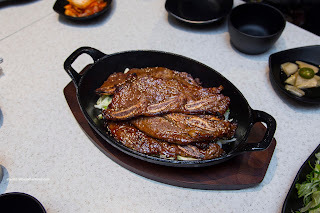 However, it was by no fault of the restaurant as short ribs can often be different texturally depending on the piece. Another soupy dish was the Rice Cake and Dumplings. This was slightly sweet and pleasant tasting, yet it lacked depth. 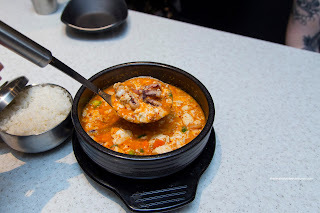 The rice cakes were on point with an appealing chewiness while the dumplings were also quite good. I found them meaty and dense with a thin dumpling skin. Majestically plated like many of its counterparts, the Bossam consisted of the usual sliced boiled pork belly, kimchi radish and pickled daikon. I would've preferred some napa cabbage to wrap the belly though. As for the belly, it was sliced thick which made it more meaty in texture. The fat was nicely gelatinized while the flavours were mild. The radish could've been even spicier, but it was crunchy and did the job. Our last dish was a take on Bibimbap with spicy pork. The chewy and sticky rice was texturally on point while the veggies were also quite good. I found them to be on the greasier side though. The pork was on the drier side and could've used more spice. 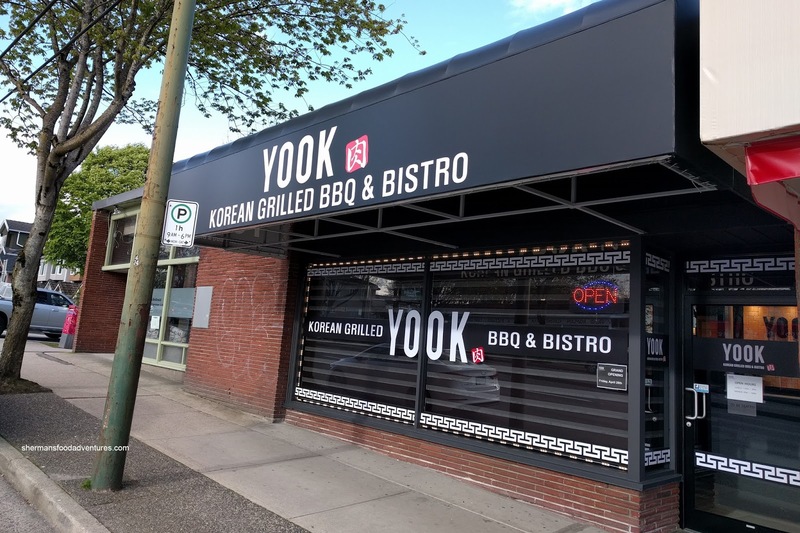 Overall, Yook BBQ has plenty of potential due to its location (no immediate competition nearby), food quality and modern dining space. Since it just opened, some more refinement in terms of seasoning and flavours are needed.